It was supposed to be a joyous, carefree adventure. 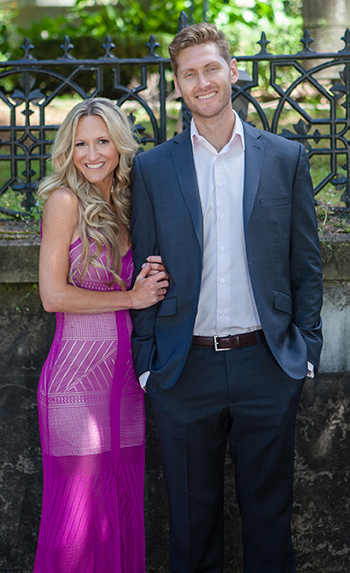 New Zealand newlyweds Matt and Danielle Fontenesi commenced their three-week honeymoon trip to the United States in Aug. 2015. On the flight, Matt was struck with a debilitating fever, which he disregarded as a lingering virus. Less than a week later, he was diagnosed with acute myeloid leukemia—his blood was 90 percent cancerous. For three years, he battled fevers that soared to 107 degrees and endured high-dosage chemotherapy. When he needed a bone-marrow transplant, he was transported to Moores Cancer Center at the UC San Diego Health, one of the leading hospitals in the world for the high-risk procedure. On Aug. 19, Matt will be among the surfers participating in the Luau and Legends of Surf Invitational. 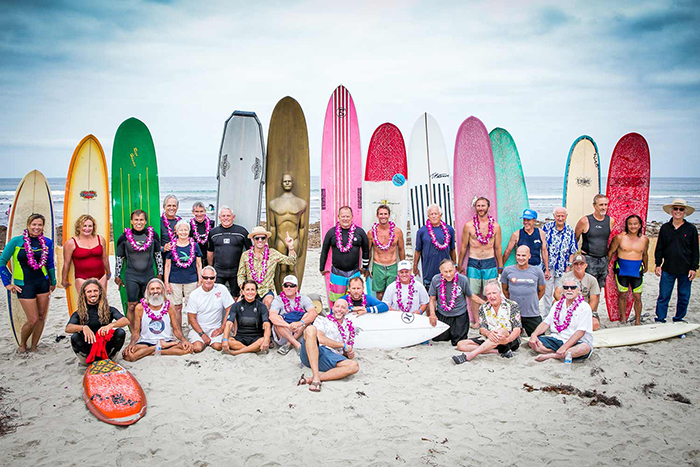 Now in its 25th year, the annual fundraiser unites more than 500 surfers, scientists and cancer survivors who share two great passions: surfing and finding a cure for cancer. All proceeds from the public event, which has raised over $8 million since it was launched in 1994, go to support research, teaching and clinical programs at Moores Cancer Center—the only National Cancer Institute-designated Comprehensive Cancer Center in our region, and one of only 49 in the U.S. In addition to raising funds, the Luau celebrates the advances made in cancer research and patient care, and recognizes individuals who have contributed to the progress—such as Howard Birndorf and Ivor Royston, M.D., who pioneered the biotech industry in San Diego. In 1978, the UC San Diego scholars formed Hybritech, the region’s first biotech company. The scientists developed the first blood test to screen for prostate cancer as well as custom-made antibodies to specifically attack cancer cells. Birndorf and Royston will be acknowledged this year with the Rell Sunn Award, which honors the memory of Rell Kapolioka’ehukai Sunn, known as the “First Lady of Surfing.” Sunn was diagnosed with breast cancer at the age of 32, but rather than submitting to the disease, she lived vibrantly until passing 15 years later in 1998. The Sunn Award recognizes medical scientists, philanthropists and community advocates who have made a difference in the battle against cancer and who embody the Aloha spirit. Surfing legends are paired with teams of four for a friendly competition to kick off the UC San Diego fundraiser. Photo by Todd Barnes. This year the event is chaired by Sam Armstrong and John Otterson, who founded the Luau and Legends of Surfing Invitational in 1993. Both are current Moores Cancer Center Board of Visitors members. Festivities kick off at 7 a.m., at the beach near Scripps Pier in La Jolla, where teams of four are paired with a surfing legend for a friendly competition. The Luau follows at 11 a.m. with musical entertainment by Gary Hoey, who wrote the soundtrack to Endless Summer II; a tropical buffet; and live and silent auctions featuring surf-inspired artwork, unique surfboards and vacation packages. Featured artwork will be presented by painter, designer and illustrator Josh “Shag” Agle. Odonate is supporting the event as the title sponsor. The surfing competition is free for spectators; tickets to the Luau fundraiser are $550 per person. For more information about sponsorship opportunities, team entries, tickets and event activities, call (858) 822-6623 or visit the event website. More information on Moores Cancer Center can be found here.